In the south of Sri Lanka the altitude is low and the vegetation very dense. 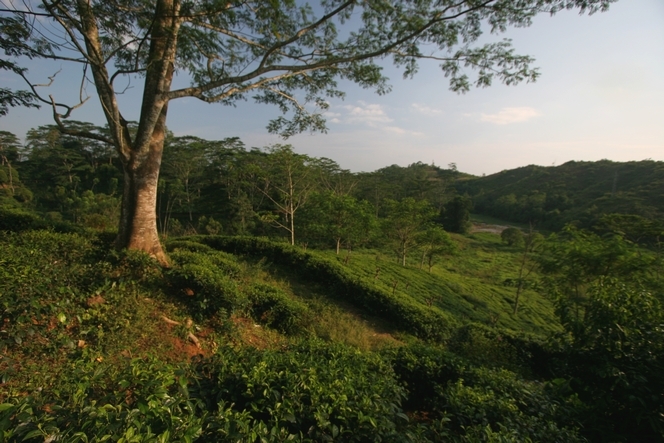 The tea plantations, which are small in this region, are surrounded by luxuriant vegetation. The teas produced here are known as “low grown”, unlike the teas grown in the very mountainous centre of the island, called “high grown”. But take note! A low grown tea is not of inferior quality, on the contrary. Because of the greater care taken when processing the tea leaves of low grown plants, they often achieve better prices at the Colombo auctions.